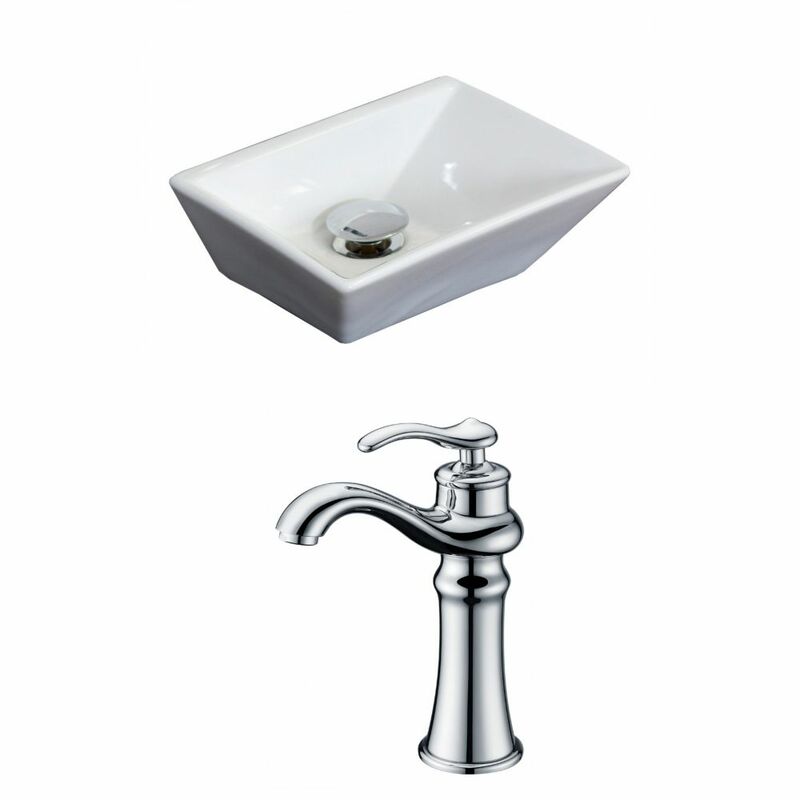 12-inch W x 9-inch D Rectangular Vessel Sink in White with Deck-Mount Faucet is rated 5.0 out of 5 by 1. Rated 5 out of 5 by Laura from Beautiful design Great option for a small space! So happy there was a attractive sink and faucet. Small space was challenging. But this did the trick.